Organised by the Port of London Authority (PLA), the meeting will be chaired by PLA chief executive Robin Mortimer together with PLA chief harbour master, David Phillips. The meeting is free and open to anyone interested in the future of the tidal Thames and in the work and activities of the PLA on the river and related concerns. Key matters include recreational use of the River; safety issues; and use of the Thames for passengers, leisure and cargo. 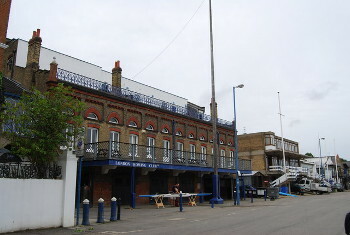 Venue: London Rowing Club, Embankment, Putney SW15 1LB. After a brief presentation on current issues, the floor will be open for questions and discussion. The PLA is a self-financing organisation, set-up by an Act of Parliament in 1909 to run the tidal River Thames in trust for future generations. Its 350-strong workforce oversees safe navigation, protects the marine environment and promotes the use of the river. The PLA has no shareholders and any financial surpluses are reinvested in stewardship of the river and improving the efficiency of PLA operations.